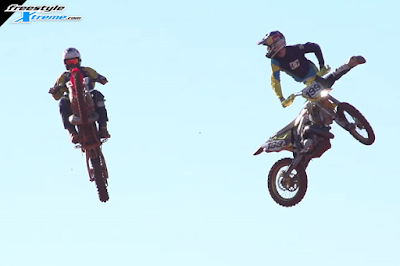 Prepare yourself for the latest Ronnie Mac video! In this episode Ronnie goes racing, and he's up against the likes of Travis Pastrana AKA Travis Pastrami and Trevor Piranha in an epic 2 stroke battle! 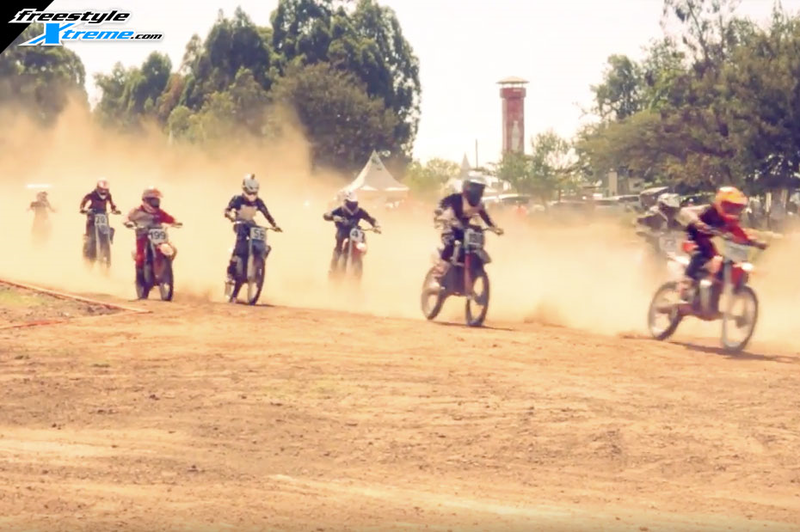 East Africa isn't known as an MX hotspot, but the guys at Transworld Motocross recently pointed out a highlights reel from Kenya's National Championship. Although the dust probably makes staying in front a little easier once you get there, the track looks good, riding's awesome, and we like the structure of it. With an abundance of engine displacement classes there's space for riders of varying ages and abilities and a clear path for progression. One to keep an eye on! It's rivalries and injuries at the Supercross in part 3 of Chasing the Dream - watch it here! Whether you're battling your nemesis or your own fitness, the Supercross is nothing if not a fight to the finish. Despite the great racing we've seen so far this year, one of our favourite moments still remains Weston Peick and Vince Friese's handbags in Anaheim. So we were happy to see it as the jumping-off point for the third episode of Monster and Fox's awesome Chasing the Dream series, which you can catch up on below. 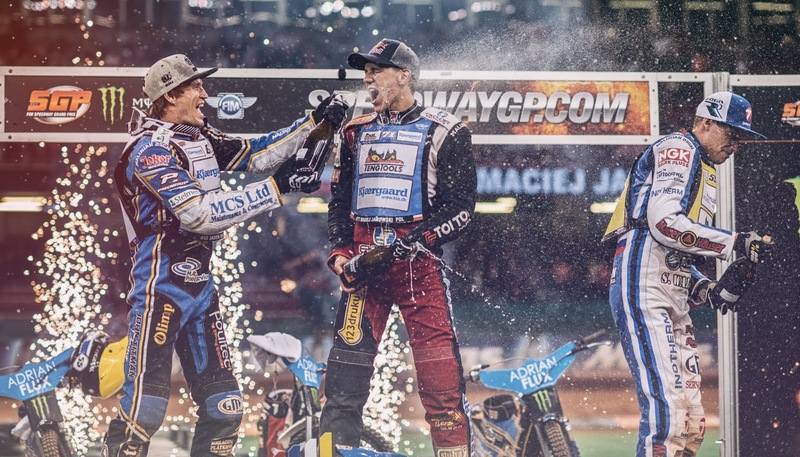 Entitled "Battlegrounds", they're focusing on the personal and public conflicts faced by the riders and their rivals against injury, form and each other. Whether you're a die hard SX devotee or just a sports fan, there's a lot to see here about the balance of fitness and psychology that goes into a title charge. 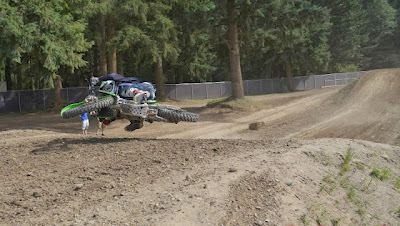 Tyler "King Scrub" Villopoto signs up for Arenacross! Tyler Villopoto – younger brother of AMA SX champion Ryan – has signed with Oakleaf Kawasaki to race the 2014 Arenacross championship. The 23-year-old American is a smooth operator indoors and finished second overall in the 250cc class on the opening night of the 2012 Bercy SX before crashing out the following evening. This season Tyler’s contested the MX2 class of the 2013 Canadian Nationals for Monster Energy Leading Edge Kawasaki and has been drafted in to race for Somerset-based Oakleaf alongside Arenacross #3 Jack Brunell by team boss Shaun Anthony. “We’re really pleased to sign Tyler for the Arenacross,” says Shaun. “He's a fast rider and a perfect partner for Jack. He's got experience of the Kawasaki which doubles our chances of putting Oakleaf Kawasaki on the top step and makes winning the series a realistic aim. For series promoter e22 Sports the news that yet another top-flight rider has signed up is further confirmation that in just its second season Arenacross is heading in the right direction. The seven-round 2014 Arenacross series kicks off with a double-header at the Odyssey Arena, Belfast, on January 17/18 before travelling to the LG Arena, Birmingham (January 25), the Echo Arena, Liverpool (February 2), the Metro Radio Arena, Newcastle (February 9) and the Motorpoint Arena, Sheffield (February 15). The series signs off at London’s Wembley Arena on March 1. Munich (Germany), 14 October 2013 – Metzeler has been chosen by Team HRC Rally, the Honda works motorcycle rally team, as tyre supplier and technical partner to face the toughest raids and rally competitions in the world, among them the 2014 edition of the prestigious Dakar. The new Honda CRF450 RALLY of the riders Helder Rodrigues, Sam Sunderland and Javier Pizzolito will be fitted with KAROO™ Extreme prototype tyres in sizes- 90/90-21 front and 140/80-18 rear. The product used in the competitions in which Team HRC Rally will take part, the Metzeler KAROO™ Extreme, is a prototype tyre not available for sale because it is specifically developed for competitions in collaboration with Team HRC Rally and will be used in different competitions, including the challenging Dakar. With the name KAROO™ Extreme the goal was to emphasize two important aspects behind the development of this product that combines the heritage and experience of the KAROO™ in enduro on/off use and the "extreme" experience of Metzeler in the international enduro competitions with the MCE 6 Days Extreme, the 22 times Enduro World Championship winner tyre. More often than not we just want the biggest jumps, the loudest engines and the wildest crowds. But, sometimes, it’s nice to watch something a little slicker – something with a little panache. Well lucky for us this GoPro of Tony Cairoli’s MXGP final lap just landed and, while it might not be the most action packed run, boy does this man have some tekkers. Check it out and let us know what you think!